Born and raised in Chicago, Sky Guy is the team’s biggest fan. With five older sisters, all of whom were basketball players, Sky Guy formed a love for women’s basketball at an early age. 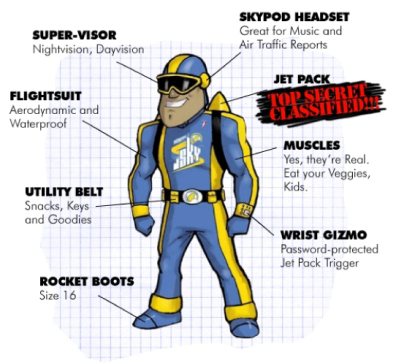 Sky Guy can be seen at every Sky game at Wintrust Arena as well as at Sky clinics, girls’ basketball tournaments, parades and libraries throughout the Chicagoland area. Sky Guy is always looking to make new friends and meet other Sky fans so say “hi” when you see him. He is always looking to make new friends and meet other Sky fans so say “hi” when you see him. Be sure to follow him on Twitter (@SkyGuyWNBA) to find out what exciting event he’s bringing the Sky thrill to next! Favorite Friday Night activity: Watching my sisters play basketball at Wintrust Arena!